My friend Ed the Sampler returns as Motown Junkie to his own home with another record of trip-hop/hip hop/sample head/downtempo/whatever sounds. 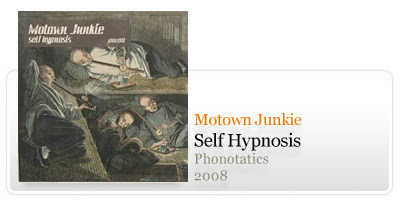 'Self Hypnosis' has some true gems inside, like 'Ill Dawn' reminding of some early Amon Tobin; 'They have a pact with the devil' is also filled with Ninja Tune references all over it, the round bass, the metal samples; 'I feel something' has some groovy beats and awesomely well inserted vintage samples; 'Pagan dances in autumn twilight' is a real keeper, awesome work Ed has done here with every sample in its right place; 'Row (featuring Hotdrop)' was well picked to close the album, that nice 'Jah-feeling' really leaves you wanting for more. Also of note is Ed's evolution as a sample-freak. He has started to look away from the orthodox sampling methods/solutions and is experimenting with a different kind of sound-collages that really go well with his own sample style. Keep up the good work, mate! Motown Junkie's new effort is a complex piece of work, which could have been made in any place of the world, since it travels around it musically. You realize it from the opening title track to the wonderful Hotdrop contribution in the closing "Row". You could hear it on a train ride, no borders blocking your path, and the music would fit that trip easily. It starts off with a downbeat "Ravi Shankar on acid" style, beats floating through your right and left speakers until they twist your brain, and it's sure to happen with "Ill Dawn" and its crazy beats chasing you in 3 intense minutes. You may find the right mood for you depending on each track you choose. "Change" would be a nice end-of-the-night soundtrack, while "They Have a Pact With the Devil" could be easily your perfect soundtrack for a meeting with mafia crooks. Probably the best song here will have to be the psychedelic "Pagan Dances in Autumn Twilight", with a strong middle-east feel to it, followed by the 21st Century blues of "Anfeta Effect" and the soothing sound layers of "Time to Solo". 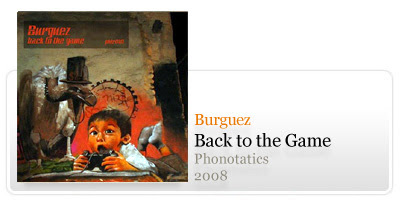 An overall great album by Portuguese Motown Junkie, which can be fully enjoyed either in stereo speakers or headphones. try to predict that within a short time we will hear about him again. Welcome back to the beat Kingdom of Burguez |King| of Venezuela. Sometimes the invisible line between conventional and experimental is continuously abducted by less orthodox musical concepts. 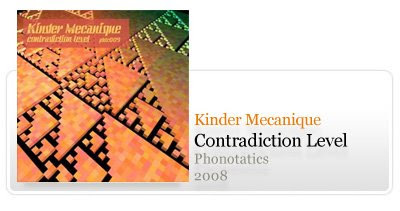 Contradiction Level is a good example of persistence in exploring languages of assembling video applied to the sound. Oh Ed, no sábado traz isto em CD para rodar no Trampolim.